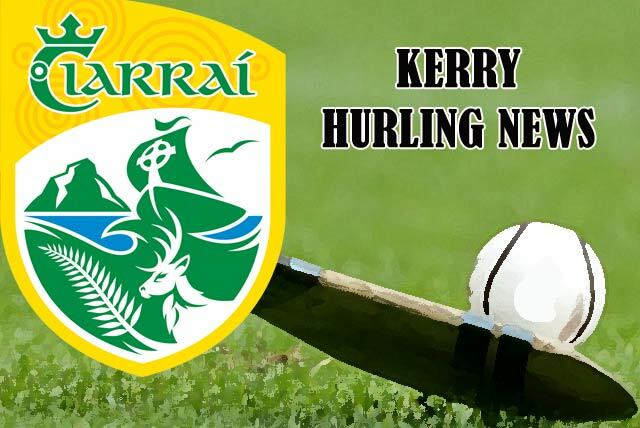 The Kerry senior hurlers had a decisive 3 – 19 to 1 – 9 win over Meath last Sunday at Austin Stack Park in Round 4 of the Allianz Hurling League Division 2A. Kerry’s remaining league fixture will be away to Westmeath on this Sunday, 4 March. Venue is Cusack Park, Mullingar, where there will be a 1.00p.m. throw in. Westmeath lead the Division 2A table with 8 points from 4 games. Kerry and Carlow are level on 6 points each but Kerry has a superior point’s difference. Meath remain on 4 points after 4 games. Kildare and London, who meet in the last round are still pointless. The top two teams after this weekend’s series of games will contest the Final on Sunday week, 11 March. Following the league, the next competition for the Kerry senior hurlers will be the new Joe McDonagh Cup, a Tier 2 hurling competition. 6 teams will compete – Meath, Carlow, Kerry, Westmeath, Antrim and Laois. Kerry fixtures are: Sunday, 6 May v Carlow (away); Sunday, 6 May v Laois (home); Sunday, 20 May v Westmeath (home); Sunday, 3 June v Meath (away) and Sunday, 10 June Antrim (away). The final is fixed for the weekend of 30 June. The Bank of Ireland Celtic Challenge is a hurling development competition for 16 and 17-year old hurlers. Now in its third year, the competition has gone from strength to strength and in 2018 a total of 41 teams from all 32 counties will take part across eight groups that are determined on a geographical and developmental basis. There will be 1,250 players involved in a schedule of 135 matches that take place over an eight-week period. After an initial round robin group phase of matches, teams will be graded on their performance and will then be assigned to one of five Divisions for the quarter-finals, semi-finals and finals, where again they will compete against teams of a similar level of ability. Kerry will be playing in Group B together with Clare South/East, West Cork, Limerick Treaty and North Cork. Detailed fixtures will be issued shortly, with games to take place between Wednesday, 2 May and Saturday, 30 June. A Foundation Level Coaching Course for club coaches will take place on this Saturday, 3 March at St. Michael’s College, Listowel from 10.00a.m. to 5.00p.m. The tutors will be Giles O’Grady & Daniel O’Donoghue and it is aimed towards coaches dealing with players from under 6 – 12 years of age. Tralee Parnell’s hurling Academy for children born from 2005 – 2013 continues on Tuesday next, 6 March from 6.00p.m. at Tralee Sports Complex. As usual, equipment is available to borrow and all boys and girls are welcome. Further details on the Tralee Parnell’s website. The club will also hold an Easter Hurling Camp from Monday, 26 March to Wednesday, 28 March. To book a place, text 085-1355566.